A new design is coming to the Pesky Cat Designs shop. It's a generously sized tote bag with plenty of room to bring your essentials and more. Two interior slip pockets and a zippered pocket keep all your things organized. This bag also features two magnetic snaps to keep your bag securely closed. 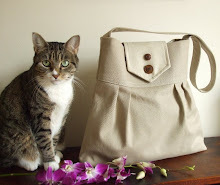 The one pictured here is made from buttery soft faux leather. I've searched high and low for a faux leather that I am happy with. This one feels so nice and looks great as well. I'll be adding a couple in red and fudge to the shop later today. Tip of the day: If you plan to work with faux leather may I suggest purchasing some heavy duty binder clips. Pinning thick faux leather is near to impossible especially when trying to hold together four layers to sew up a strap. 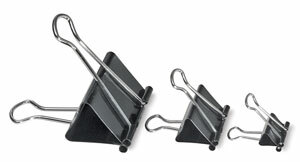 These binder clips work perfectly. And a teflon sewing foot also helps tremendously! 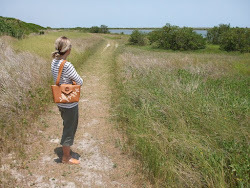 Beautiful and practical bag Elisa! Beautifully made. I have yet to work with leather. 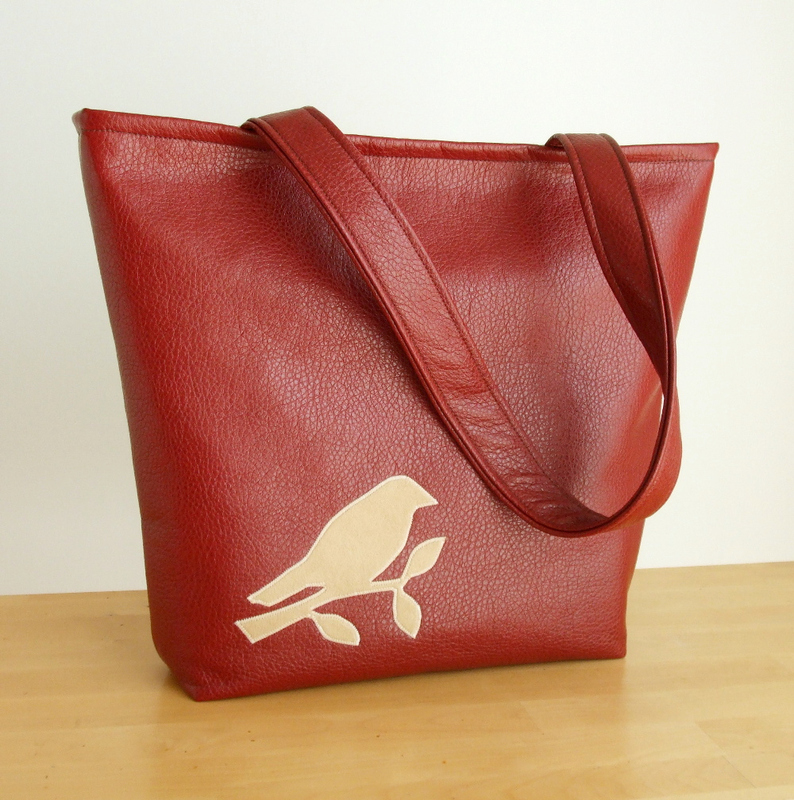 But I hope to add leather bags to my store in the future. Kerry- The tote bag is made from faux leather but it really does look like real leather. I did research online and found tips for working with real leather to help me with the faux leather. Thanks for stopping! Great addition to your shop, Elisa, I'm sure it will be another bestseller! BarbaraG- The best sources for faux leather are upholstery shops. If it's good enough for a chair it's definitely sturdy enough for bag. www.diyupholsterysupply.com has a great selection and they send free samples so you can feel and see before you buy. Has excellent faux leather as well. I did want to mention that that 100% polyurethane what you want to look for versus PVC vinyl. 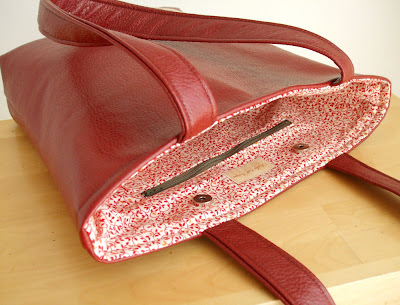 According to Bretano's website: Polyurethane is a greener alternative to PVC (vinyl) and leather. Comparatively, polyurethane is much more environmentally friendly in both production and after-care. Polyurethane is degradable and is designed to deteriorate after usage. Naturally soft and flexible, polyurethane does not require the solvents used to soften PVC or leather. super cute! and totally useful. I especially love the lining!